Every espresso lover inevitably comes to a fork in the road when looking to lay their hands on a new machine: do they go for the manual or the automatic? Well, Breville thinks they should go with both! With their machine dubbed 'the Oracle’, they claim to have merged the best of both worlds. In one delectable swoop, you ought to get the convenience of an automatic with the precision tuning that gives manuals their characteristic rich flavor. 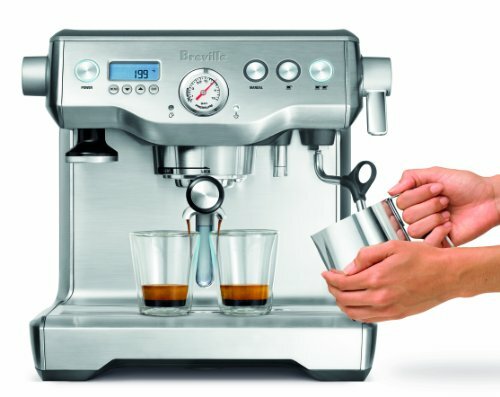 So does the Breville BES920 (formerly BES900) Dual Boiler Semi Automatic Espresso Machine prophesy taste bud-tantalizing espressos in your future? Let's find out! The first thing that hits you about this Breville espresso maker is its amazing build. It looks like money! And at a price of $1,203.80, it better. This baby weighs close to 30 pounds and is finished in beautiful stainless steel. 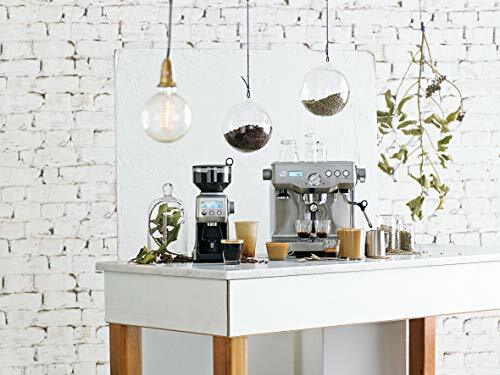 It is far from the best-looking espresso maker out there; it’s more handsome than gorgeous, and from experience we all know that handsome is more dependable, right? 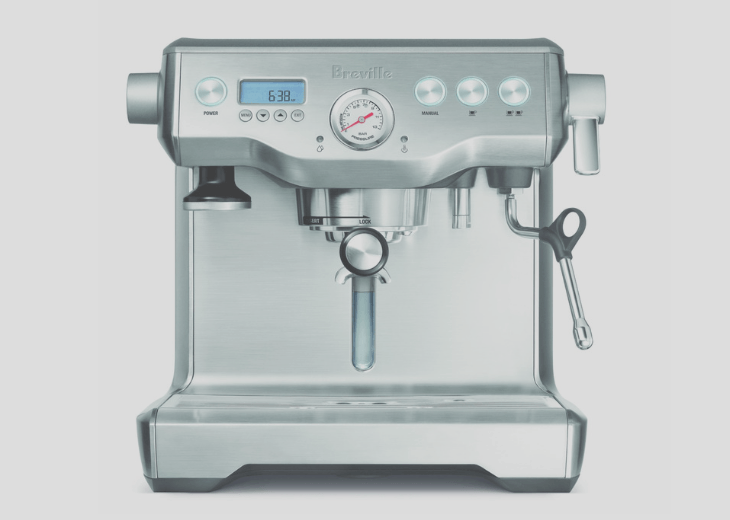 This semi-automatic is designed to give you great tasting espresso by automating the crucial processes but giving you a bit of room to give it your distinctive signature. And it definitely has the bells and whistles to get the job done. Automatic grinding, tamping and dosing. Conical burr grinder with bean hopper. Dual stainless steel boilers and pumps. Automatic milk texturing with option to go manual. One-touch Americano setting that immediately adds hot water after pulling a shot of espresso. Programmable temperature from 190-205 F.
Hidden drawer for tool storage. Can't be plumbed into water line. A bit of inflexibility in regards to dose and grind. The Breville BES920XL Dual Boiler Espresso Machine is available on Amazon for $1,203.80. This machine is impressive; hands down. 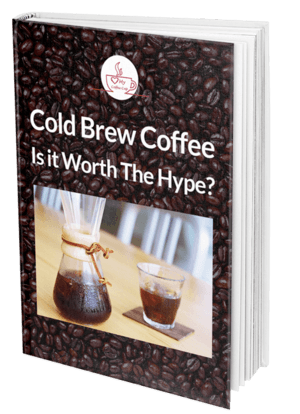 Yes, you might get a call from your accountant wondering why you’d drop $1000-ish on a coffee machine, but once they taste that delish espresso, they’ll completely understand. 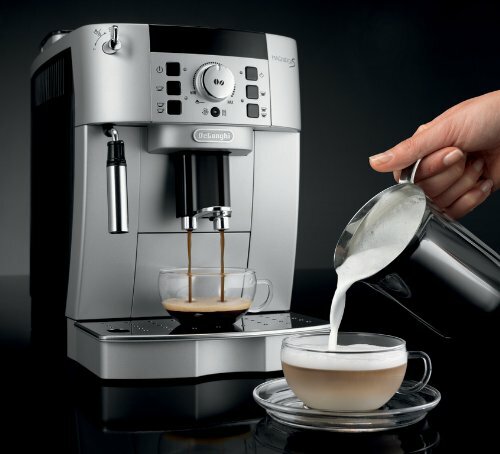 Apart from great tasting joe, the Breville BES920XL has a lot of nifty features that make your life oh so easier. The most noteworthy has to be the water tank that can be easily filled from the top without having to shimmy it out the back. The hidden tool drawer is also a brilliant touch, eliminating the whole brush-hunting game you play every time you want to clean your machine. Major points for you Breville! The only gripe about this machine is that you many not be able to achieve a certain level of fine grind; but that's really nitpicking, to be honest. For a grand, you get a coffee maker that will last you for ages, pull a perfect shot of espresso every time and etch a smile on your face whenever you walk past it. Remember that fork in the road that espresso lovers face? Well, Breville just blew it up and built a formidable one-way street to utter deliciousness. Not quite sure the Breville BES920XL is the right espresso machine for you? Fair enough, I get it... let's compare three more machines that I think you might like. There is something truly special about Italian-built espresso makers; they make you feel all proud and fuzzy inside! And the Rancilio HSD Silvia perfectly captures this magic. And the price is $715.00 it’s arguably one of the best. The most striking feature about this bad boy is its build. It weighs about 35 pounds and has a solid stainless steel construction that just screams durability. Brass single boiler with a capacity of 0.3 liters. 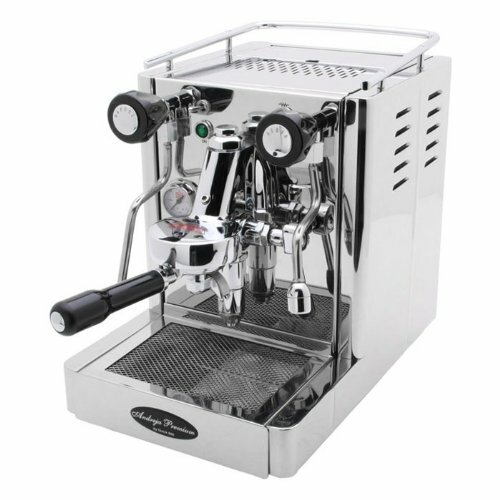 This espresso machine requires a bit of a learning curve however, as you grind and tamp your own coffee. But that's half the fun! Quickmill is known for its striking designs, with the joysticks and gauges giving you a bit of a fond flashback. And the Andreja Premium Espresso Machine lives up to this. 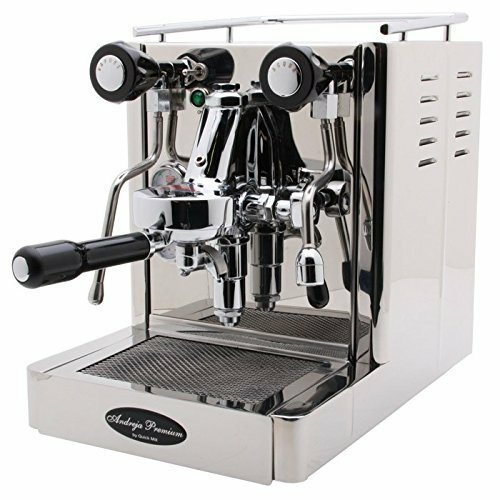 This machine is finished in high-sheen steel, complemented by large indicator lights and retro gauges, resulting in a piece of true beauty. A lot of beauty; this machine is huge! It weighs a whooping 55 pounds. 2 complete 58 mm portafilters. Copper single boiler-heat exchanger - which allows you to brew coffee and steam milk at the same time. The cost of all this beauty, you ask? Well, you’ll cough-up Out of stock but you get a whole lot of bang for your buck. From the good people of Treviso, Italy, comes this compact super automatic espresso maker. 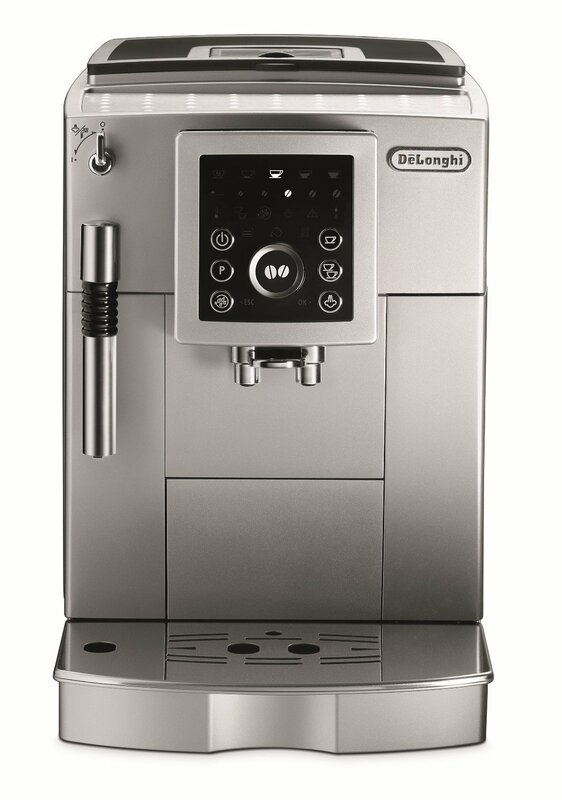 DeLonghi has strived to cram all the convenience of a super-auto into a nice, little package; and have succeeded! This single boiler measures just 17 x 9.4 x 13.8 inches. 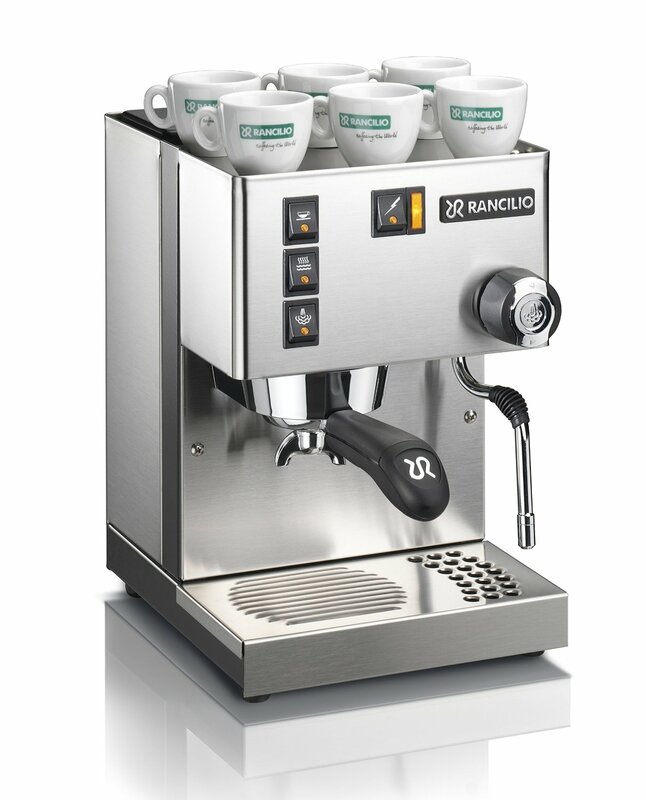 ​Every one of these machines is truly impressive and selecting one will depend on what features you value most, but all-things considered, the Rancilio Silvia takes the top slot. It takes durability to the next level, beefs that up with heavenly-tasting espresso and offers all this to you at a very competitive price. However, if you can spare a bit of extra money, and space, then Quickmill’s Andreja Premium is the way to pull a shot of espresso that enviably compares to that of the coffee houses. But if you would rather watch paint slowly dry than grind and tamp your own coffee, then do yourself a favor and opt for the convenience of the D﻿eLongh﻿i.